The Upper Colorado Environmental Plant Center (UCEPC) is a non-profit facility owned and operated by two northwest Colorado conservation districts and serves areas of Colorado, New Mexico, Utah, and Wyoming. National interest in significant deposits of oil-bearing shales, the economical recovery of that oil, and the successful revegetation of the disturbed sites related to oil extraction were the primary factors leading to the establishment of the Center. The Center is located adjacent to the world’s largest known deposit of these oil bearing shales. The region supports one of the nation’s largest populations of elk and mule deer, and quality winter forage is critical for their survival. 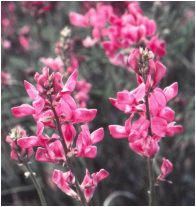 Range and wildlife plants must survive drought, range fires, insects, disease, and the encroachment of invasive, non-native plants. 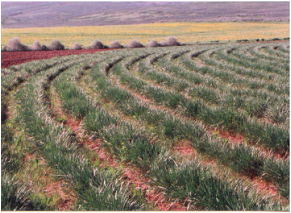 Marginal cropland needs plantings to convert them back to permanent vegetation. Abandoned croplands, which are losing water to municipal use, need to be vegetated with plants adapted to changed conditions. 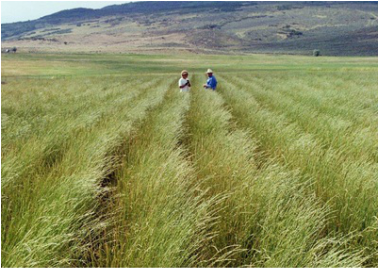 The Center works on revegetation of high elevation sites, to increase productivity of grazing lands in the cold desert, restore riparian zones, improve water quality, and enhance wildlife habitat. 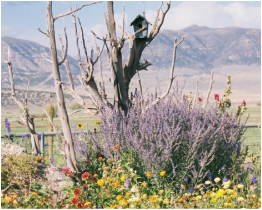 The Upper Colorado Environmental Plant Center has released and is cooperating in the production of over 18 conservation plants. We have many available services including: plant materials consultation, training, and tours. Read blogs submitted by our staff and guest authors on a variety of topics.